Erciyes-Kayseri, Turkey – Ester Ledecka of the Czech Republic and Austria’s Andreas Prommegger came out on top in the 2016-17 Snowboard World Cup season’s final PGS, which was successfully staged on Sunday in Erciyes-Kayseri, Turkey. Organizers were force to postpone the race until Sunday, after thick fog enveloped the course midway through the competition on Saturday. The competition finally resumed on Sunday with the quarter finals under a blue bird sky with the reigning PSL world champion underlining her claim on another gold medal at the upcoming world championships which will take place in Sierra Nevada, Spain, March 7 to 19. In a close women’s final, Ledecka edged out Japan’s Tomoka Takeuchi by a mere 0.03 secondsto claim her career’s ninth victory. 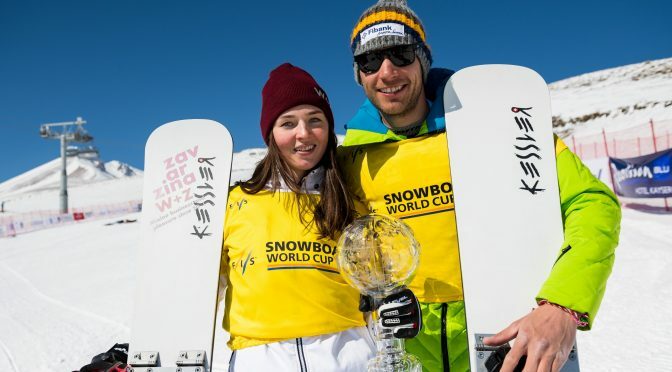 Germany’s Ramona Hofmeister rounded out the podium in third after defeating Austrian champion Daniela Ulbing in the small final. 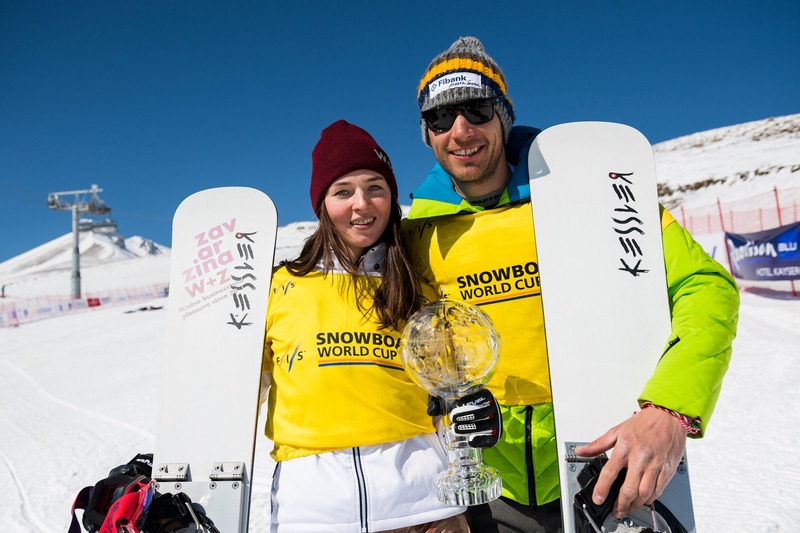 Alena Zavarzina of Russia secured her career’s first Crystal Globe by clinching the overall parallel snowboard title. In the men’s event, Sang-ho Lee and Bo-gun Choi secured South Korea’s first medals ever in an alpine snowboard World Cup event, finishing a respective second and third behind Prommegger, who celebrated a back-to-back win after his victory in the Olympic test event in South Korea three weeks ago. With his 15th career win, Prommegger took over the lead in the parallel overall World Cup standings from Radoslav Yankov of Bulgaria, who finished 17th on Sunday but claimed the PGS World Cup title. The alpine snowboard World Cup tour will wrap up with the final parallel slalom and a parallel slalom team event slated to take place in Winterberg, Germany, from March 17 to 19. Before then, however, the 12th FIS Snowboard World Championships are next up for the raceboarders with the PGS medal decisions scheduled for March 14 and PSL on March 15 in Sierra Nevada.